« 11/5 check out the sweet potatoes! 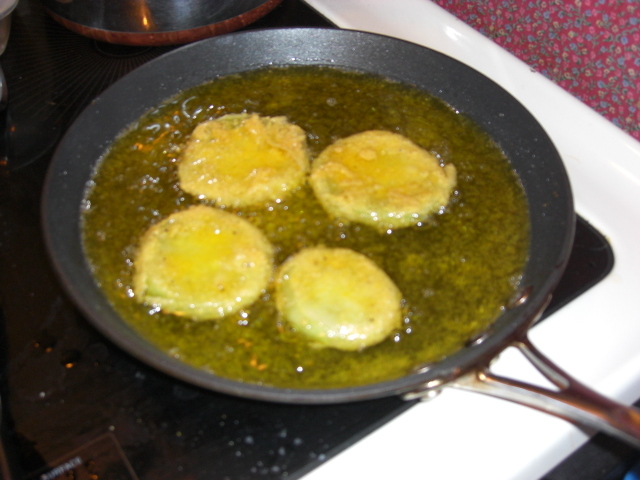 We fried the tomatoes, and it worked really well. 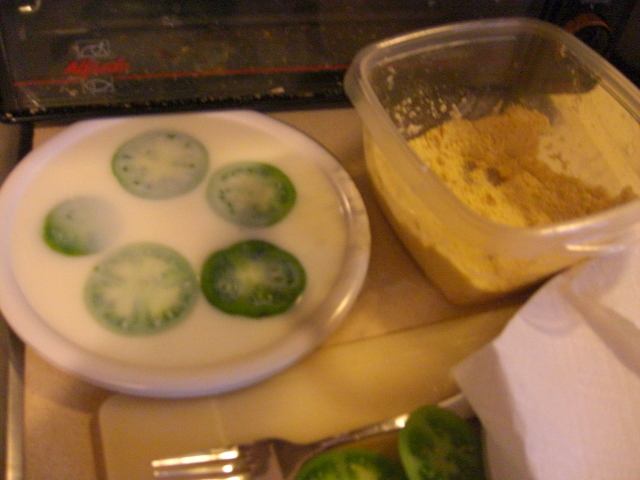 I dipped them in buttermilk and then cornmeal with some salt, pepper and paprika. 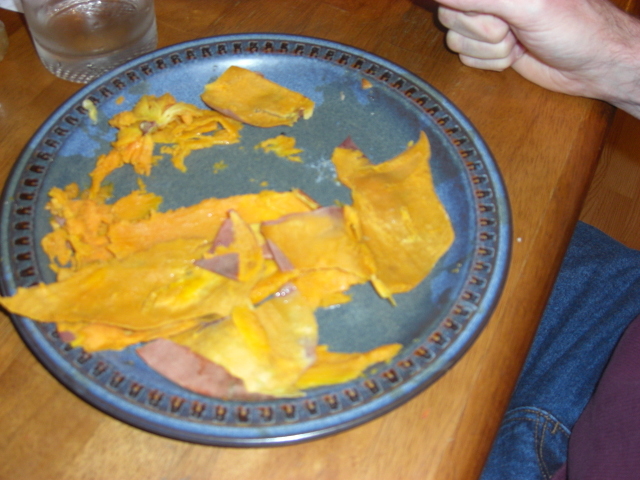 The sweet potatoes were so delicious that they got eaten all the way down to the skin. Here’s the proof. I stir-fried the Komatsuna greens with onions, ginger, garlic and chicken. It was pretty good. You couldn’t taste the greens in all the sauce. That’s good and bad, I suppose. The acorn squash is still adding charm to the kitchen for now. We’ve been eating the Asian turnips sliced in salad as suggested. It’s pretty tasty. They are very mild. I’m feeling braver about greens. This coming week, I may even try a recipe that isn’t designed to hide the taste of the greens!